Tech Smith had their annual birthday bash @ the University Club for a Lansing Corporate Event. This was an amazing event pulled off by Kim of Posh Events. She mostly coordinates corporate functions compared to most planners that specialize in wedding receptions. Her services are invaluable for events like these. There were a lot of details that had to be managed by Kim and her team in order to pull off this 80’s themed event. Our online planning system helped to streamline the event. This event is very important to the employees for the company. I would say that over 200 people showed up and dressed to impress. A couple of nice touches I noticed was the sushi bar, live guitarist, and gaming area. Everyone enjoys California Rolls. They are a tasty snack that isn’t too filling. The guitarist played low-key music on the spot while everyone mingled. In the room next to the bar, there were plasma TVs and video gaming consuls setup. It was the ultimate experience for any gaming enthusiast! 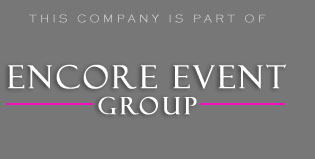 Encore was brought in to help with the lighting design. Since this venue has 2 levels, we did the lighting both upstairs and downstairs. This meant that we had 2 separate dedicated systems on the 1st and 2nd floor. The 2nd floor was used mostly for the dining and entertainment area. We kept this lighting on a static teal to match with the event decor. The first floor was dynamically controlled. We programmed the fixtures to change colors with the songs of the band. We also included a photo booth with the package for Tech Smith. The guests tend to get a little crazy in the photo booth, but hey it happens! It was setup on the 2nd floor, right next to the bobble head company. That’s right, you could create your own music video that included dancing, music, and a custom backdrop music video. It was so much fan, that I got up to try it out too! What would be any theme from the past without a well known 80’s band. This crew had all the songs down, and kept the crowd going. They played a couple of my favorite songs as I controlled the lights with the music. Since all songs work on measures it’s easy to know when the chorus is coming in or dropping out. We time the lights to build with the music as it progresses. To find out what other services we can include in your package click the image below. We can give your employees an over the top experience that will leave them talking for months!